Wine is always present when my husband and I entertain, so we have quite the collection in our wine cellar. I call it a “wine cellar”, but our wine collection is really in a series of racks in a corner of our unfinished basement. 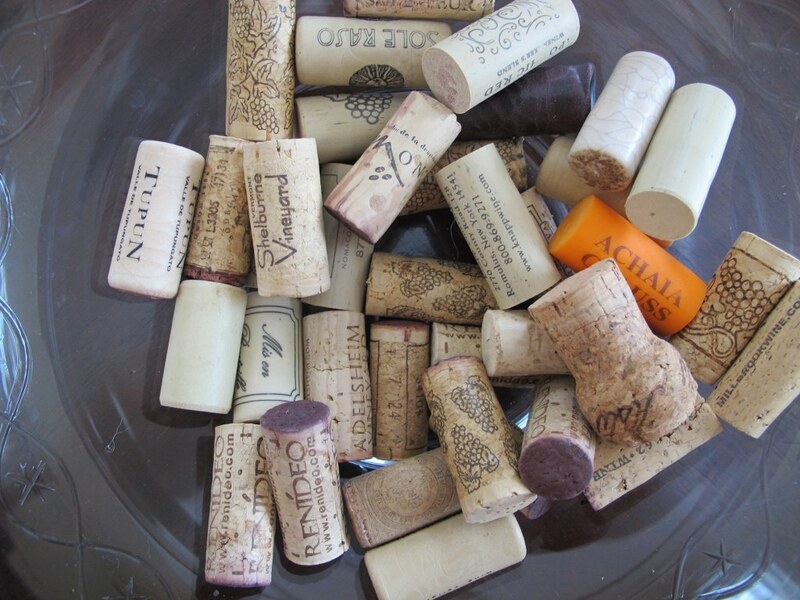 I’ve always thought that wine corks were cool looking, especially when they are grouped together. One day, many years ago, I saw that some stores were selling wine corks as a decor filler. What?! I can get them for free if I collect them from our own wine bottles. 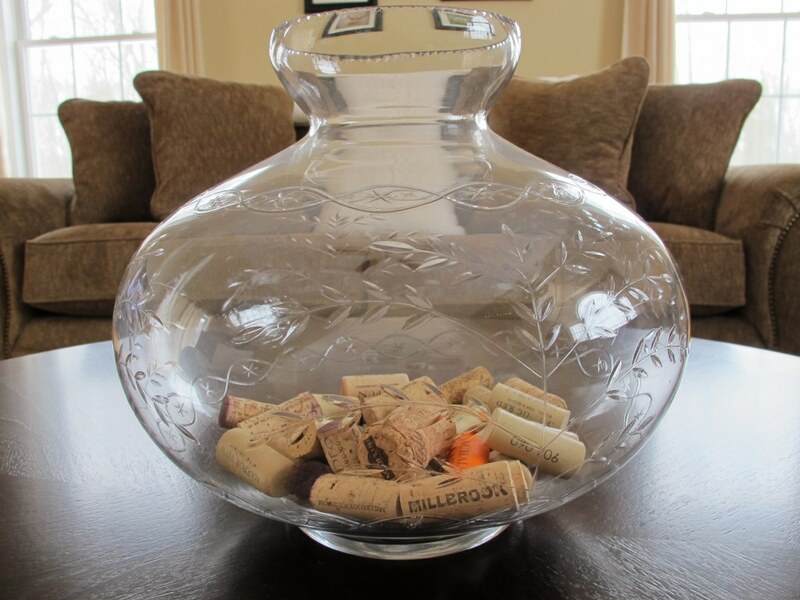 So, now each time we open a bottle of wine, the wine cork goes into our collection. Wow, I just realized that I’m blogging about fillers already when I just blogged about it yesterday. At one holiday dinner that we hosted, my girlfriend got such a kick out of the idea. She wanted to be the one to personally place the wine cork into the container. How fun! Also, keeping the wine corks around is a handy reminder if you can’t remember the name of a wine you want to have again. Many times I’ve even taken a wine cork from wine that we drank at a restaurant. I mark the wine cork with the name of the restaurant when I get home and add it to my collection. My husband and I have visited some local wineries in NY and CT over the past few years and I was inspired by our various visits to do this project. 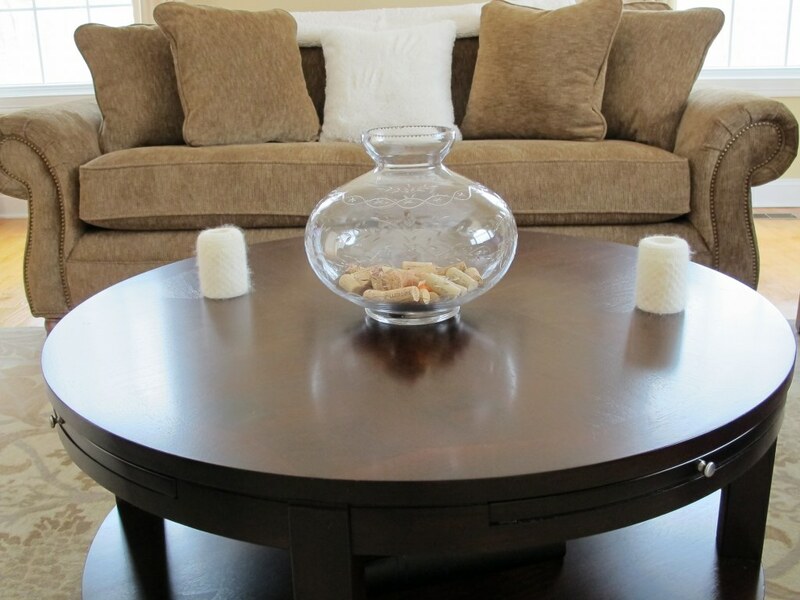 I got enjoyment out of this project in a couple of ways…I get to drink some wine and then I get to decorate!